Here is all you need to know about the Indian Startup World news for July 2018. Lightspeed India Partners Advisors have raised a fund of $175 million to invest in startups in consumer internet, software and other businesses. It will invest in 25-30 startups in their early stages and may also strike a few deals at the Series B and C stages. The fund had earlier invested in companies like Sharechat, Udaan, etc. After agreeing to buy a 77% stake in Flipkart for $16 billion, Walmart is now looking for acqui-hires and niche tech-product start-ups in India. Tata Motors Ltd bought a 26% stake in a Bengaluru-based freight start-up called TruckEasy for an undisclosed amount. OfBusiness, a startup lending to SMEs, has raised Rs.200 Crore in a series-C round of funding from Creation Investments and Falcon Edge. Vokal, a voice-based knowledge sharing platform, has raised $5 million in its Series A investment round from Shunwei and others. It plans to invest the fund in product development, hiring and growth in other languages. Vokal is a peer-to-peer knowledge-sharing platform that was created specifically for India’s non-English internet users. Toutiao, one of the world’s most valuable startups, has launched an app called Helo in India to take on the digital media startups like Daily hunt, ShareChat, and Clip. It also targets to take on Facebook. LoginRadius, a cloud-based customer identity platform, has raised $17 million in a funding round led by ForgePoint Capital and Microsoft’s Venture Fund M12. Cloud-hosting platform allows businesses to securely manage and transact with customer identities. 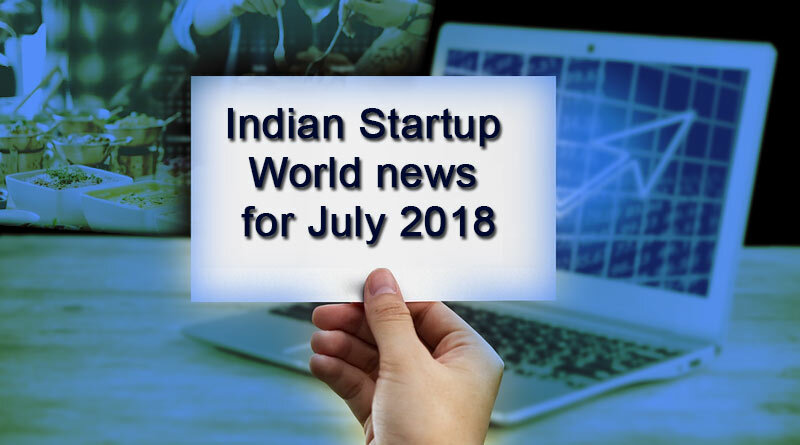 For more information on Indian Startup World news for July 2018 and other related updates like and subscribe to tentaran.com.